I was a little flustered from getting lost, and since my friend refused to have much input, I randomly picked a few things from the wide range of items available, starting with some tempura (天ぷら). Squid (烏賊) - very thick slice, and pretty satisfying. A little more chewy than I expected. Sea eel (穴子) - pretty decent. Chopped scallops with trefoil (生ホタテと三つ葉のかき揚げ) - pretty nice. Grilled ox tongue (牛舌) - very, very good and satisfying. Seiro steamed king crab leg with seasonal vegetables (たらば蟹の蒸籠蒸し) - nice chunks of delicious, sweet crab meat here, plus a bunch of different veggies. I preferred to have the crab as is, without using the yuzu ponzu (柚子ポン酢) and other condiments. 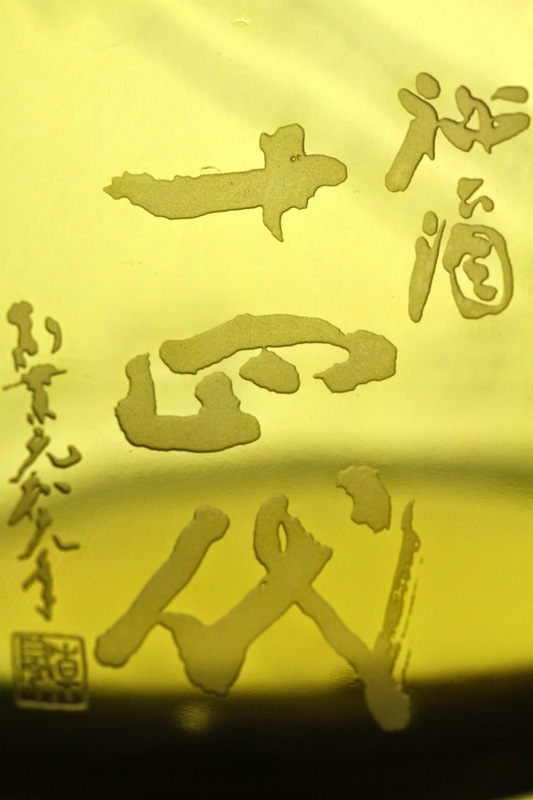 Juyondai Special (十四代 秘酒), 25BY - prominent nose of fermented rice and banana. 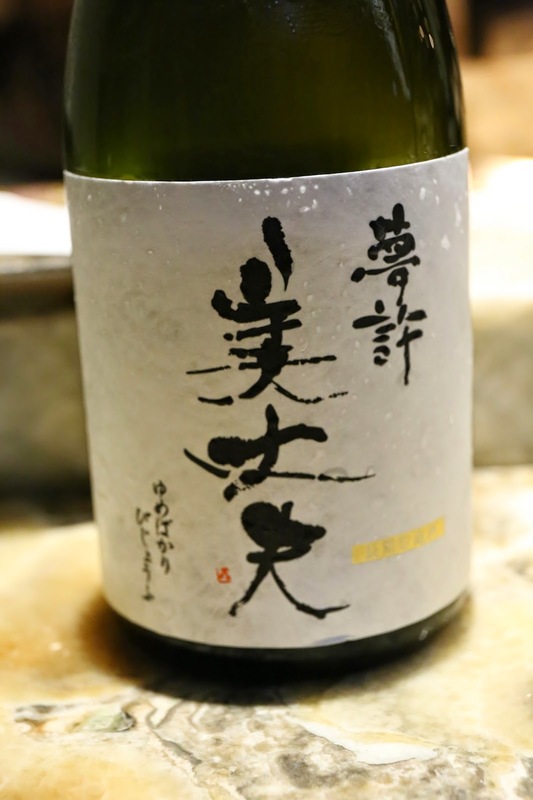 Very soft and elegant, round on the palate, then slowly builds up to a long and spicy finish. Seimaibuai of 40%. I brought this back from Tokyo, and now regret having only bought 1 bottle of this! Bijofu Yumebakari (美丈夫 夢許), 26BY - nose was very fruity, tropical, melon. Very full-bodied and more powerful right from the start. Seimaibuai of 30%. 娜姐 was drinking this with her friend, and very kindly sent over a couple of glasses. I had tempered my expectations for this place before I arrived as the reviews have been mixed, although I've always had confidence in restaurants backed by Peter Lam. I guess the food tonight met my expectations overall. But I was happy to have caught up with my friends and shared a few drops of delicious sake together.